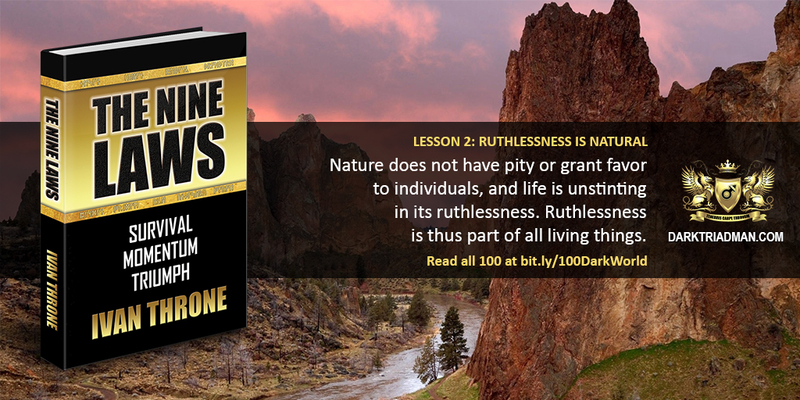 The will to live, survive and thrive requires ruthlessness in its rawest form. The strongest lion, the fastest shark, the largest tree and the most cunning businessman must be ruthless in everything they do or they would not be revered as they are. Those who slack off, grow complacent and cut corners become the prey and are swallowed whole by the dark world.